This card is for a friends Sister ...hope she likes it !!!!! 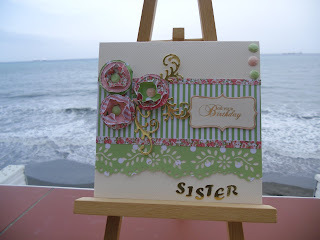 I love this card too - CC products are a dream to work with aren't they! 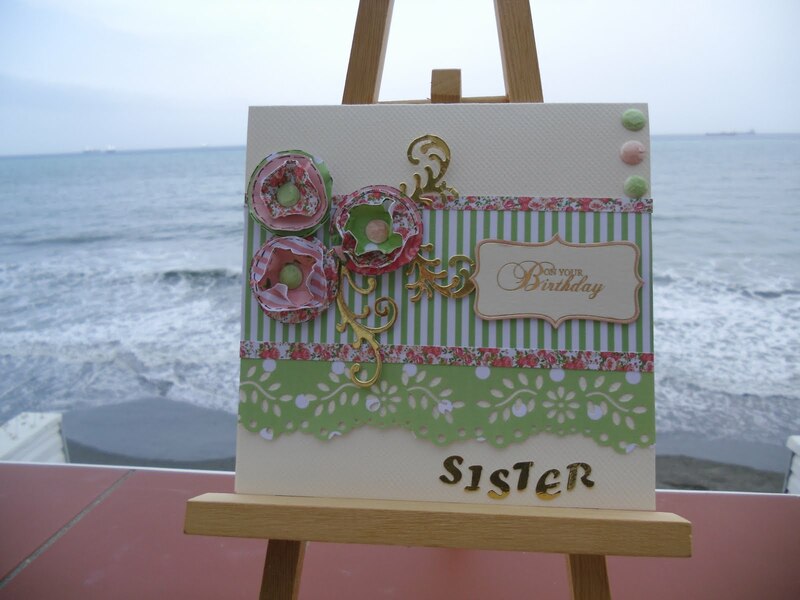 Hi Sylvie - wow, what a pretty card! Gorgeous flowers and swirls and fabulous stripes and spots!